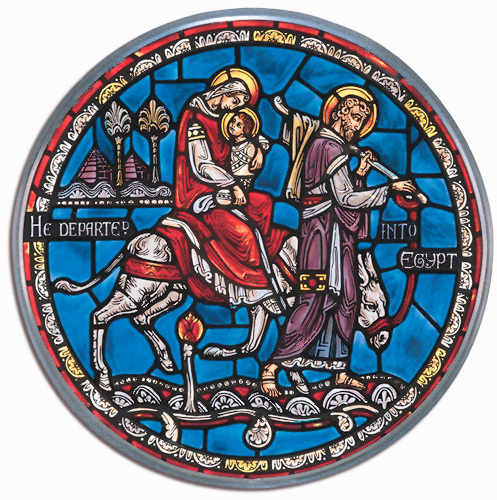 #9046 - 5" x 7"
This month we are offering two specially priced items for the holidays --"Father Christmas and the Christ Child" and "Flight Into Egypt" at a 20% discount. "Father Christmas" regularly priced at $32.00; you pay only $25.60. "Flight" regularly priced at $28.50; you pay only $22.80. Reminiscent of days of old, these stunning pieces are sure to compliment your holiday decor. Offer valid on orders placed from 12 a.m. November 1 through 12 a.m. January 1.